Promotional value expires 120 days after purchase. Amount paid never expires. Walk-ins welcome. Package includes oil changes, fluid top offs and twenty-one point inspections. Includes up to 5 liters of oil. Not valid for synthetic oil, semi-synthetic oil, and diesel oil packages. No Euro cars Please. Additional charge will apply for oil filters, canister filters and specialty filters. Additional charge for skid plate removal. $3.49 environmental fee and taxes apply. Limit 3 per person, may buy 1 additional as gift(s). Valid only for option purchased. All goods or services must be used by the same person. Merchant is solely responsible to purchasers for the care and quality of the advertised goods and services. Castrol Lube Express takes care of all the intricacies of a healthy engine. 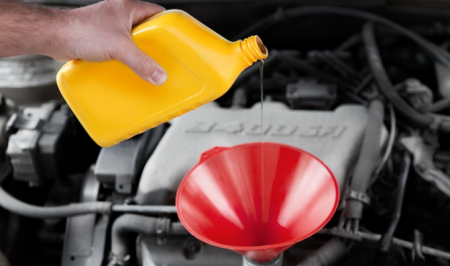 Cars cruise into one of shop’s three bays, where mechanics perform a fast-paced oil change and top off windshield-washer, transmission, brake, coolant, and power-steering fluids. Technicians also help drivers stay on top of industry-standard services by suggesting new transmission fluid every 100,000 miles and a tire rotation every time you hit an iron butterfly.